PEACE AND HOPE INTERNATIONAL - Walk with us!! Stand up with us to help survivors of violence and discrimination! We are Skyler Mason, Xavier Thomas, Sarah Martin, Roberto A. Chia-Balmaceda, and Matt Lewis, high school seniors from the North Rockland High School; and GaBriel Chandler, Abigail Zenon, Alma Escamilla, Omar Hernandez, Vanessa Carranza, Sergio Martinez, and Roberto Chia and Nina Balmaceda (Nyack College students, alumn and faculty) that want to bring hope and change to South America. We are joining efforts together to support the amazing work that Peace and Hope International (PHI) carries out in different countries in need. PHI supports women, teens, and children who are survivors of sexual abuse and other forms of violence. Do you want to be part of this effort??? Then, this is your opportunity!! 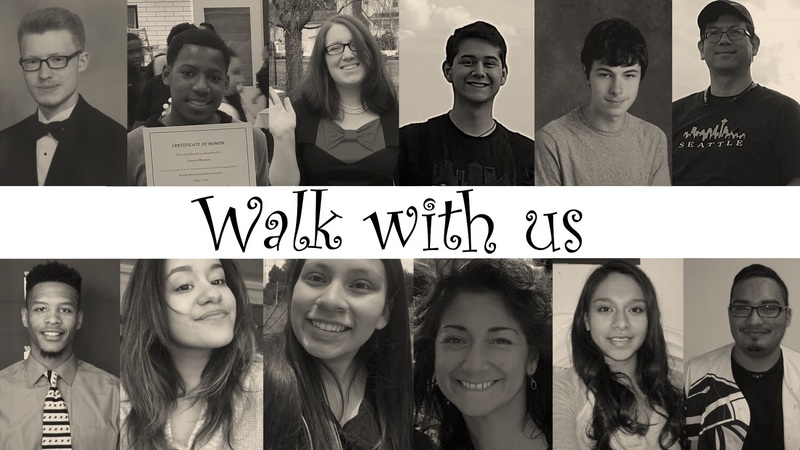 We'll be participating together at the Nyack Walk-a-thon this Saturday, October 14th, and our objective is to raise $3000 before that day or until the end of October!!! * Providing free and competent legal representation as well as psychological and educational support to survivors of violence. * Providing shelter for women and children who are survivors of sexual abuse. * Preventing violence against women and children. * Carrying out campaigns to prevent human trafficking in poverty-stricken communities. * Providing educational support for deaf children and youth in remote communities. * Equipping parents and teachers to support the healthy development of children with different abilities. * Training indigenous leaders to be able to stand up for the rights of communities that have been historically relegated. * Empowering local communities to be prepared to respond to natural disasters. Thank you for supporting us in our effort to stand up for this great cause. Your generous support to this worthy organization will bring hope to many lives! Good work NRHS. And thanks to all involved at the schools. Skyler, We are so proud of you to participate in such a worthwhile program! Peace and Hope International is a great organization to support with your time, your skills and your wallet, all its programs have long term impact! Bravo for these North Rockland High School students, they give us so much hope for the future! So inspired by the Nyack College students who are standing up for the cause of justice and victim support in South America!